Did anyone else watch the premieres of Dexter and Homeland last night? What did you think? Both seasons look like they're going to be crazy good this year! Speaking of crazy good, guess what happened to me/my blog yesterday? It was around 10 am when I rolled over to check my phone to see what time it was. At some point during the night my phone had shut itself off so I took the battery out, put it back in and turned my phone on. Ummm, what?! I didn't believe what I was reading at first so I hopped out of bed and got on my computer to confirm the news. 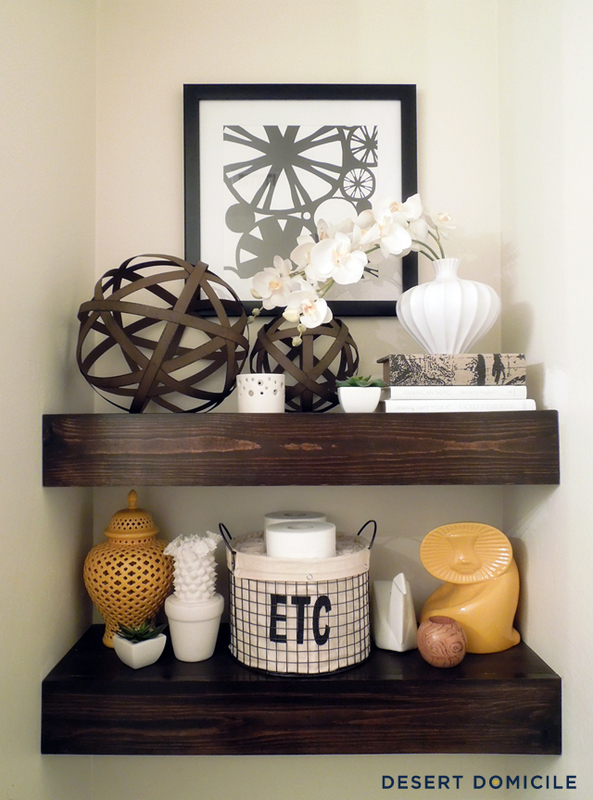 Yes, Censational Girl did in fact feature the $15 chunky wooden floating shelves I DIY'd in her 'Best of the Blogosphere' roundup earlier in the morning! 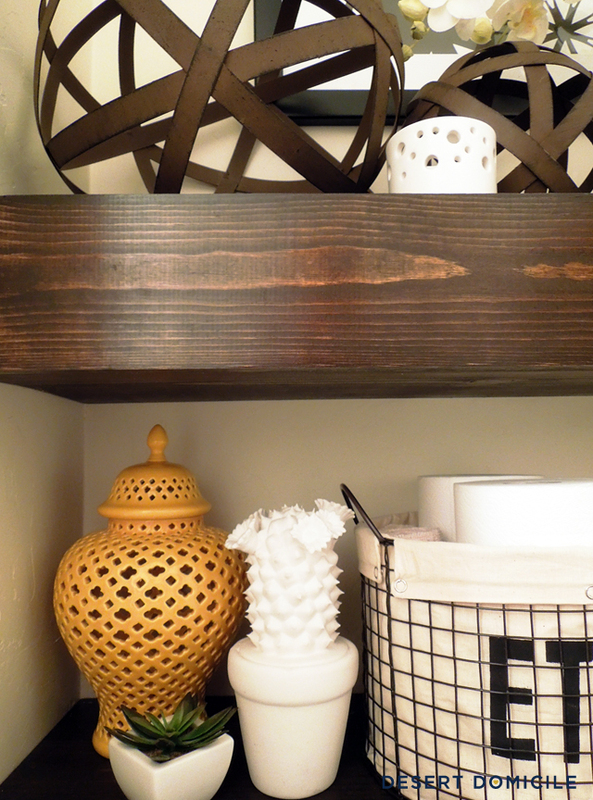 I had planned on revealing my newly painted powder room to you today but a lot of people had commented on the styling of my shelves and one person asked if I could do a roundup of where I got everything so that's what's in store for you today! Occasionally I'll find something at IKEA or West Elm but neither store has a retail location less than 2 hours away and shipping can be expensive. I like going to Goodwill to find things too but it's always hit or miss when I go so I don't shop there as often as I should. To style the shelves, I mixed in a variety of items I already had on hand with the new HomeGoods finds and tried to keep things as simple as possible. None of the items were very expensive and I think the most I spent on one of them was $20. I'm definitely not a styling expert and after looking at these pictures, there's some things I'd like to tweak but I'm happy with how everything looks for the most part! Does styling come easy to you? 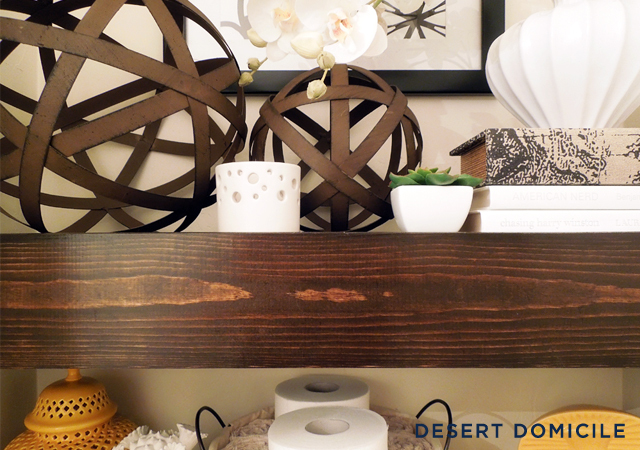 Where do you go to shop for decorative accessories? Congrats on your feature!! That's so exciting. I have a lot of trouble styling. I'm not great with items that fit spaces well, I'm more into just buying stuff that I like and hoping I can make it work. That's why I currently have 4 owls in the living room. I need to come up with a better system. I saw you on BOTB too! 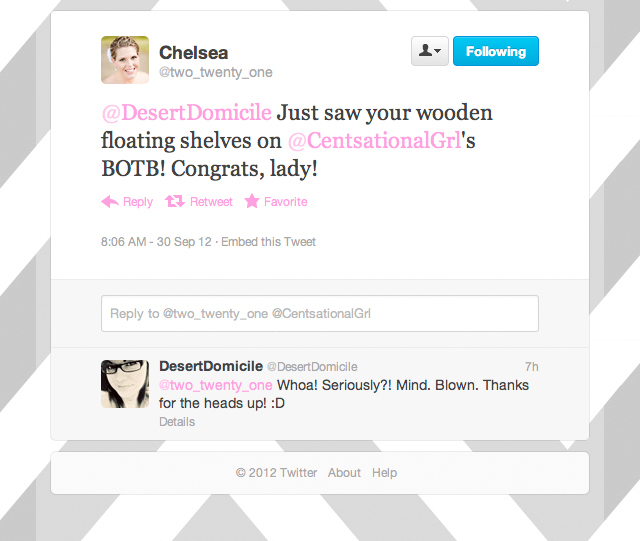 Congrats on the mention and your shelves look awesome. Woohoo! I'm with Brandi...I need to work on my styling! But really I just need places to style first. Crystal - Me too! Well, I mean, I need more places to style haha I miss the fireplace mantel I had in my condo and I really need to get some kind of surface in our dining room to put things on. 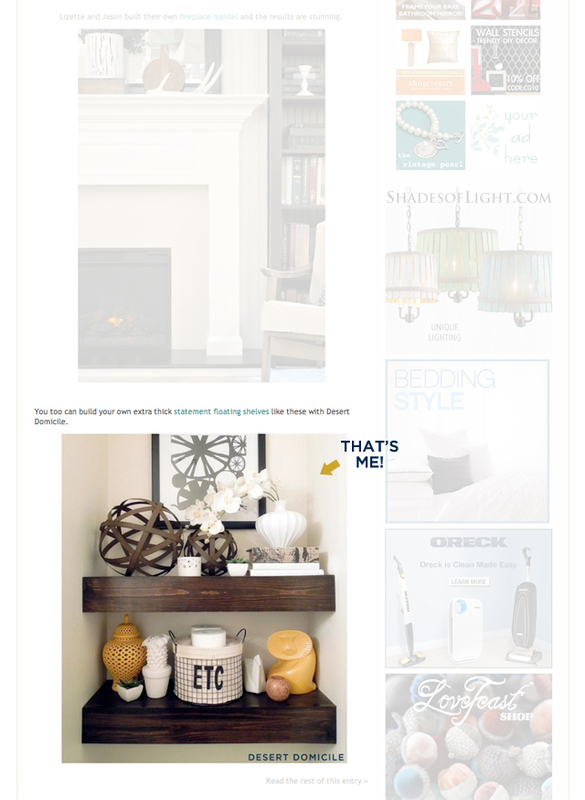 No places to style = no Halloween decorations! Congrats on the BOTB! I saw it yesterday too! Doesn't it feel awesome? And I did watch Dexter and Homeland! I'm a huge fan of Dexter but I don't know if I like the fact that Debra knows now!!! !